A business has a legal duty to ensure that any risk from fire or the effects of fire are kept by to an absolute minimum. In order to find out what risks there are, you would need to do a formal risk assessment. This risk assessment is carried out by the person responsible within the business. They have to look at any of the possible risks and hazards, look at how they would deal with those hazards, what they would have to do in an emergency, how to evacuate the building, what sort of review plans they will need and finally what equipment they’ll need. The first part of this risk assessment is to identify the hazards. Hazards will vary from one workplace to another. You will look at each individual hazard and see what you need to do about it. One hazard could be electrical fires, this could be dealt with by good housekeeping, having all appliances tested and to make sure they are functioning correctly. You need to make sure that all electrical systems, like computer systems, heating systems, air conditioning or any factory type electrical equipment are well maintained and serviced. Another potential hazard is smoking. For most of the places in the UK, it is not a problem as designated smoking areas are kept away from buildings and people are not permitted to smoke. This is a good example of how a potential problem fire from smoking can then be eliminated. The risk of fire from flammable liquids or gases can be reduced by correct storage and also to make sure they are not near or associated with anything that could possibly cause a fire. If there are possible vapours, you wouldn’t want to use anything that causes a spark which could ignite the vapours. Chemicals and fuels would need to be stored in an explosion-proof container. Hazards can be reduced by good housekeeping. This means making sure bins are emptied and that they are sufficient in size. Also, make sure any equipment that is left on site or deliveries that have come into a building are kept away from fire exits or any possible flammable source. Another hazard could be the building itself. Modern buildings have to follow very strict planning regulations. These are all designed to make sure that buildings are built in a safe manner, that fire can be contained if it did break out and evacuation routes are clear and easy to find. Older buildings may be a problem. With an older building, you may need to make maintenance changes like installation of firewalls, different alarms systems, sprinkler systems and fire doors. All these things can help to reduce the risk in the event of a fire. 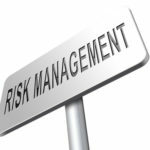 You need to assess the risk level as this will apply to the business itself or to the individuals that work there. Depending on what is happening in the workplace, the risk on the employees will vary. Not only do you need to look at the risks of the equipment but you need to look at the risks of the individuals who work there too. Maybe someone who is working close to electrical equipment could be at a higher risk than someone working in an office. The other thing you need to look at is the people themselves. You need to look at their age, their ability to move and whether they are disabled. If you’re working in a school or educational establishment, children may be less able to respond to an alarm. You need to look at fire hazards and what could cause a fire. Things that can cause a spark are material that has been left around that can fuel a fire. Once you have identified all of these things you need to see how you can reduce this risk to avoid fire breaking out in the first place. You also need to take action to protect your premises and people from fire. This can be fire alarms, fire extinguishers, evacuation and training. You also need to record, plan and train. Good records are very important so every time you are doing risk assessments, you’re analysing what has happened, or if there has been an emergency. You need to record exactly what has happened so you can analyse this and ensure that you can reduce risk in future. You need to plan exactly what you need to do in the event in an emergency. Evacuation routes, how people activate the alarm system, who will phone the emergency services should something happen, what to do if the emergency exits are blocked due to a fire on one side of the building and how are you going to get out of the other side. The final element here is to train. All this planning, risk assessing and equipment is no good unless all the staff and people who visit the building know exactly what to do. Regular training is vital and also you need to make sure anyone who visits the premises knows exactly what to do in the event of an emergency. You also need to review. You need to look back on your risk assessments to make sure they are all up to date. Has anything changed since the last risk assessment – maybe another production line has been installed, changes to the way you work is carried out, changes to the access to the building or the layout of the building. All these things will mean that you need to review risk assessments, to make sure that any changes that have happened within the workplace are recorded and also you have taken any necessary action to ensure that everybody can get out of the building in an emergency.